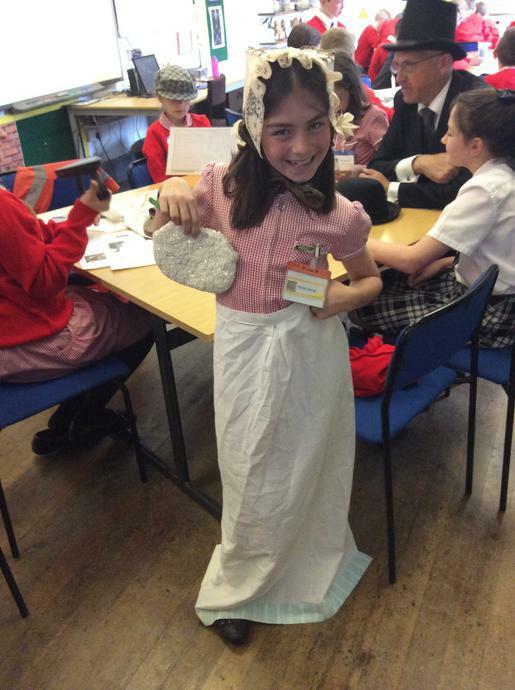 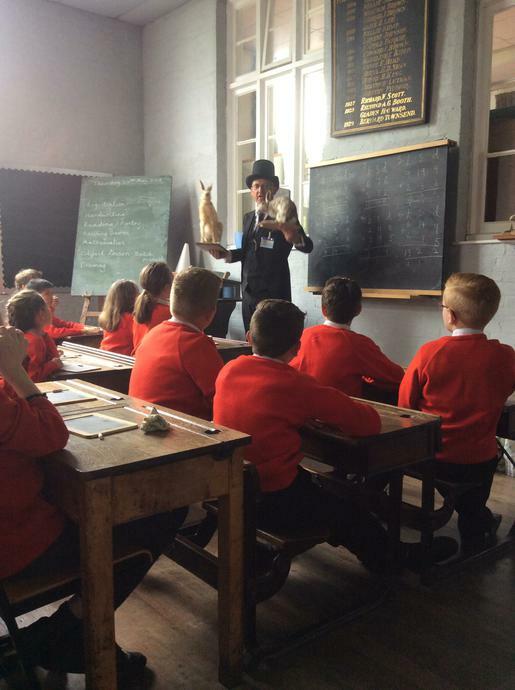 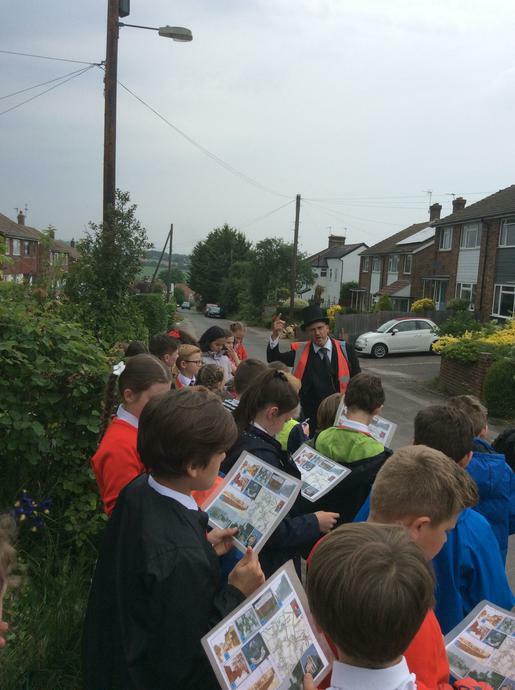 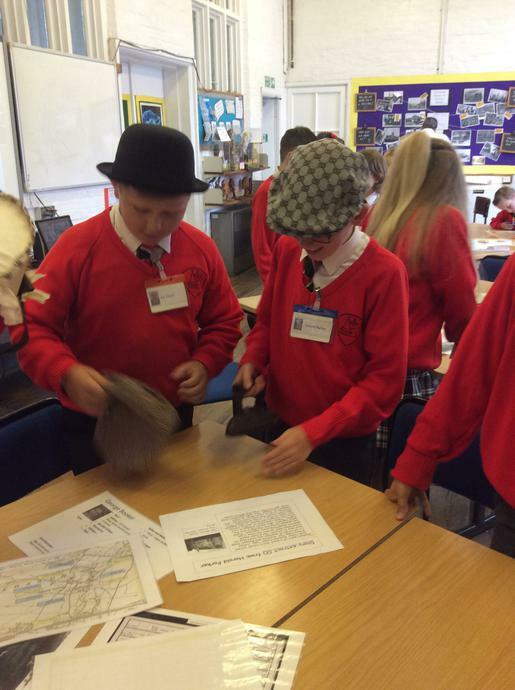 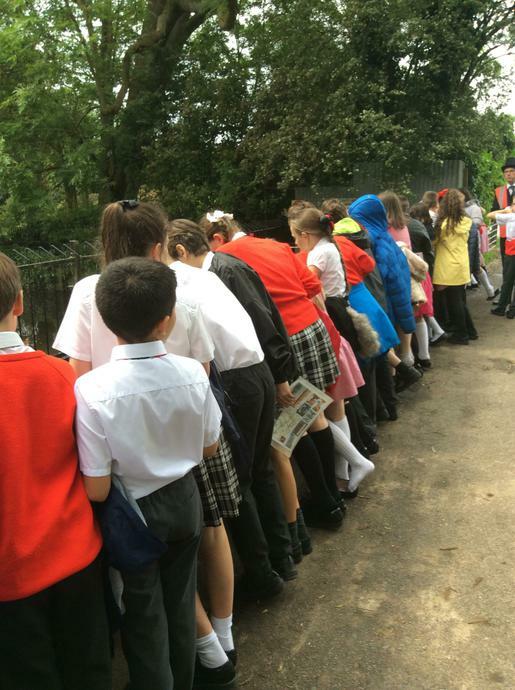 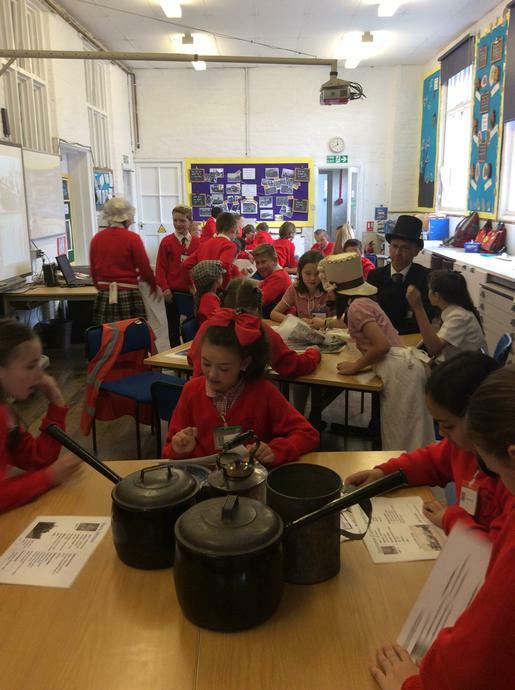 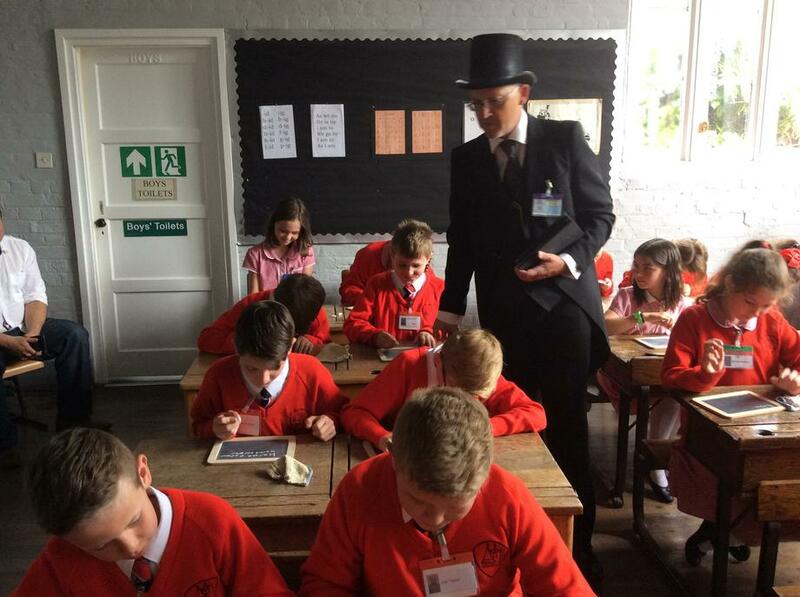 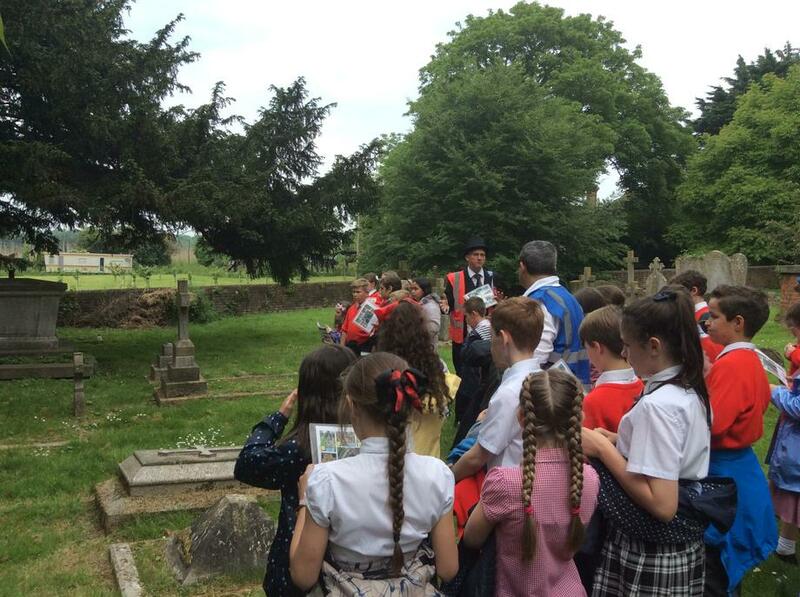 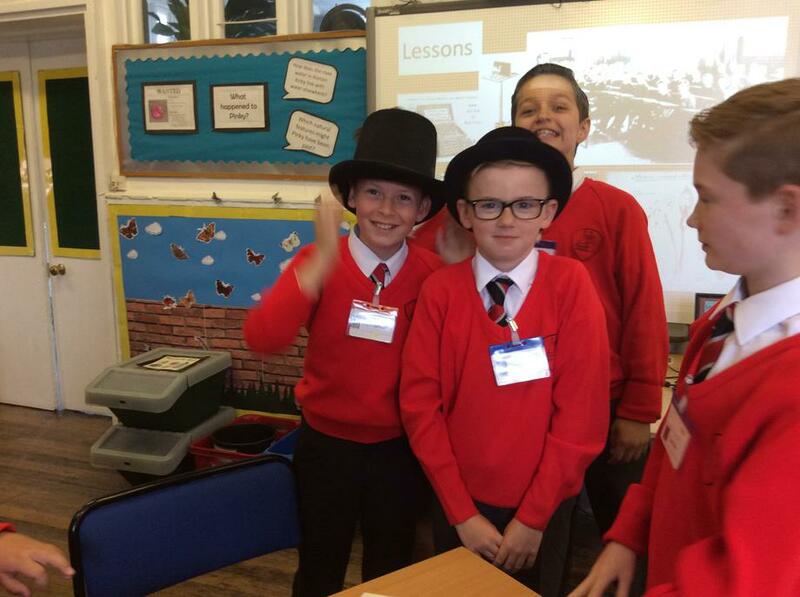 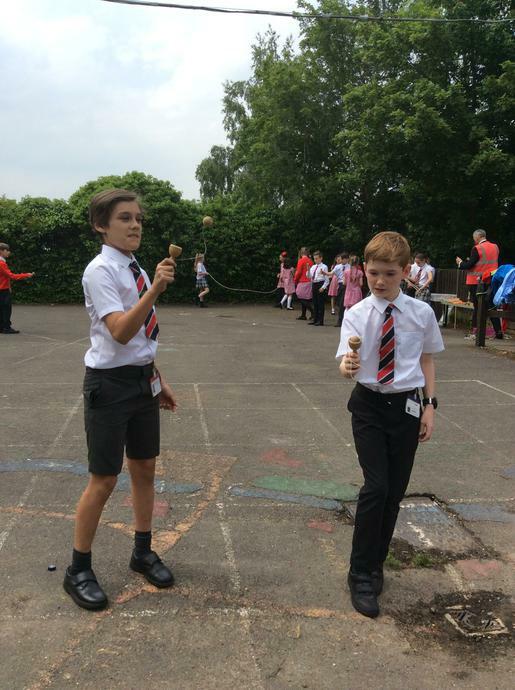 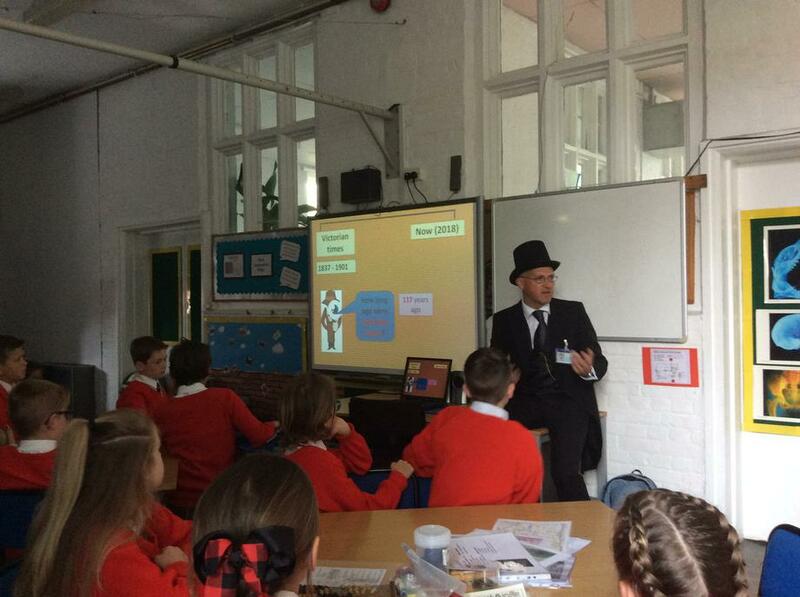 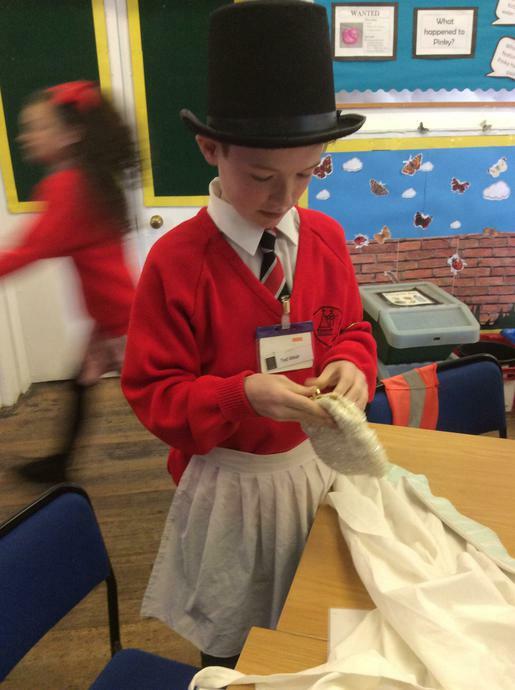 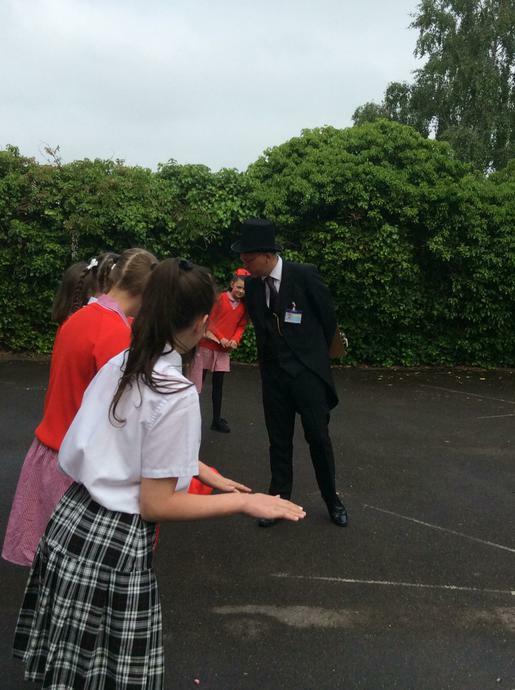 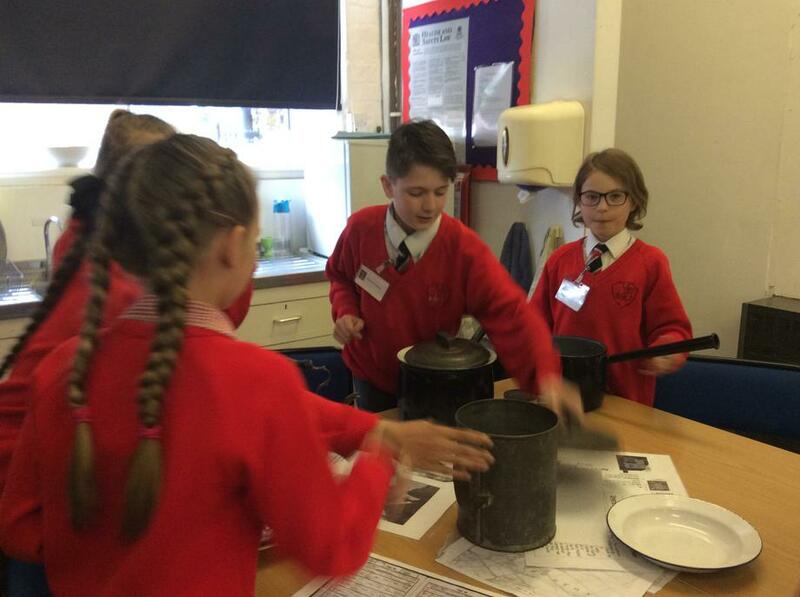 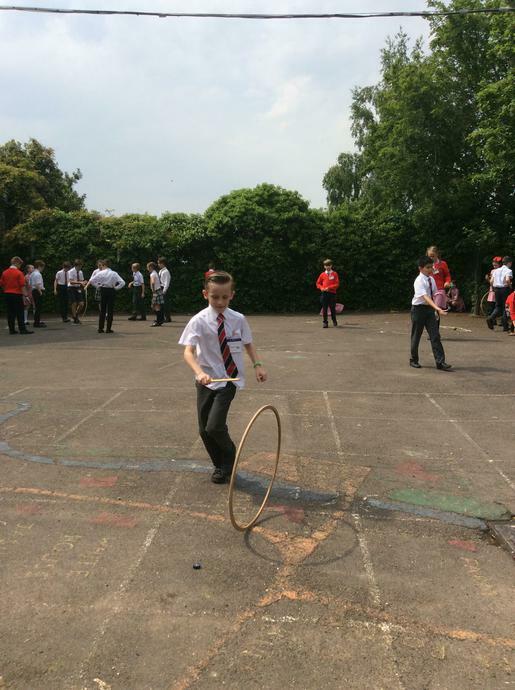 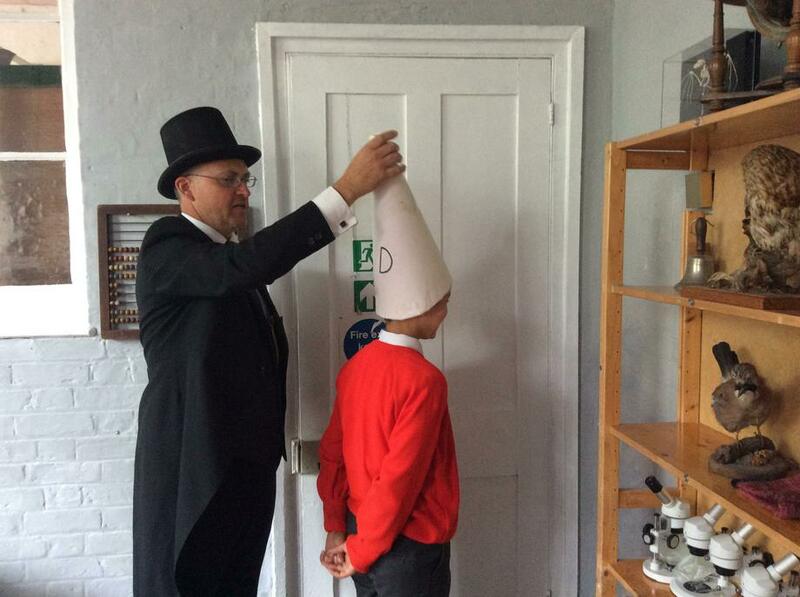 Whilst we were learning about Victorians, we took a trip to Horton Kirby, to take part in a Victorian day! 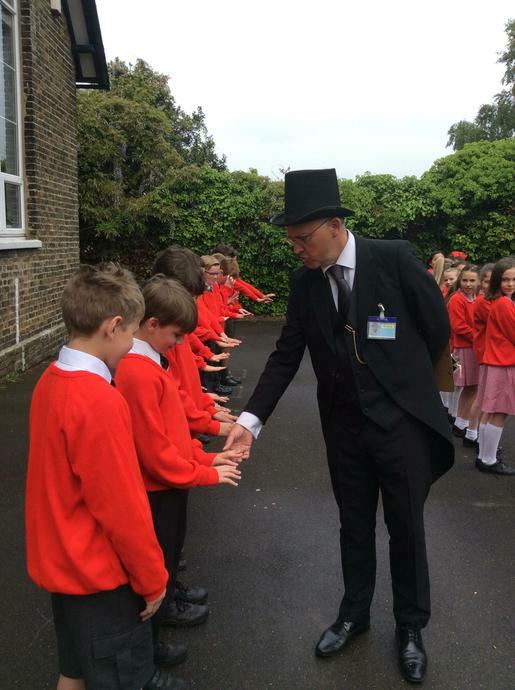 We greeted by Mr. Kemp, one of the teachers at the school from the 1800s, who taught us all about the children who attended the school at this time. 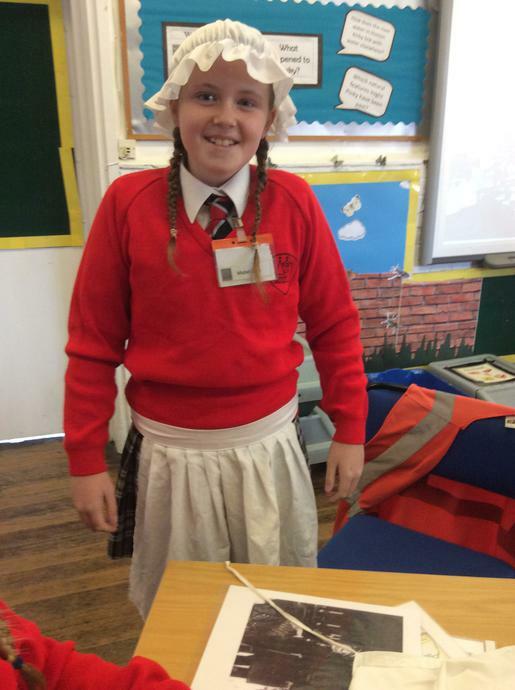 We each got given a persona of one of these children for the day, and learnt more about them through artefacts and school records. 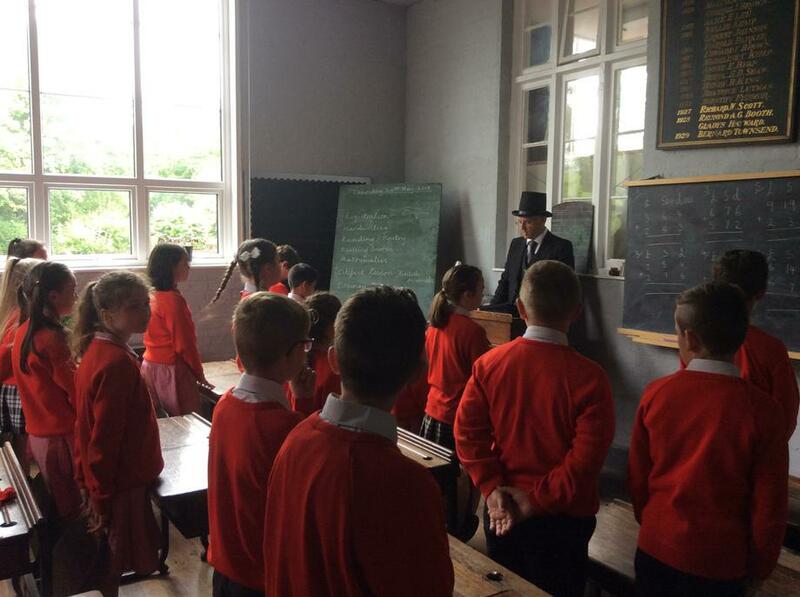 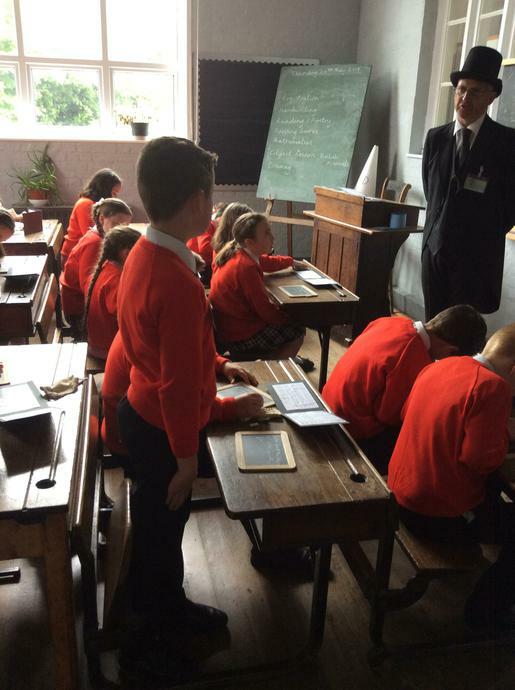 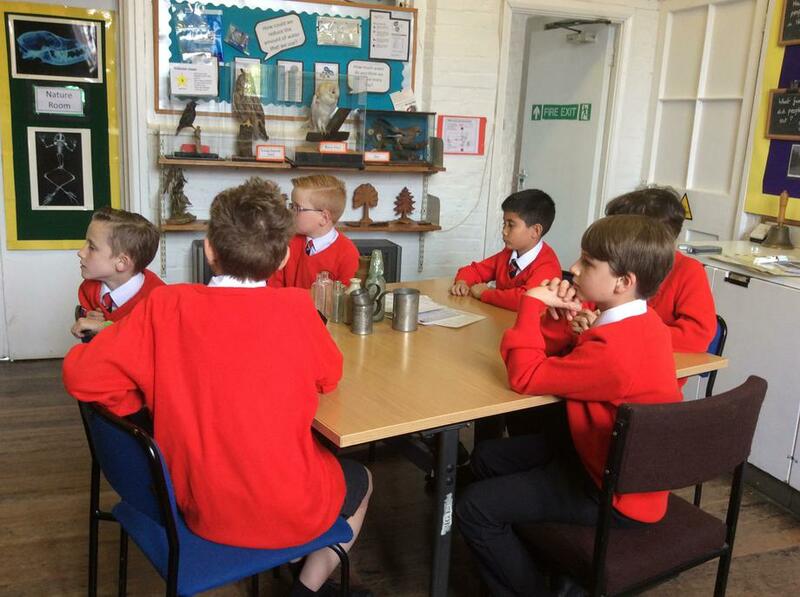 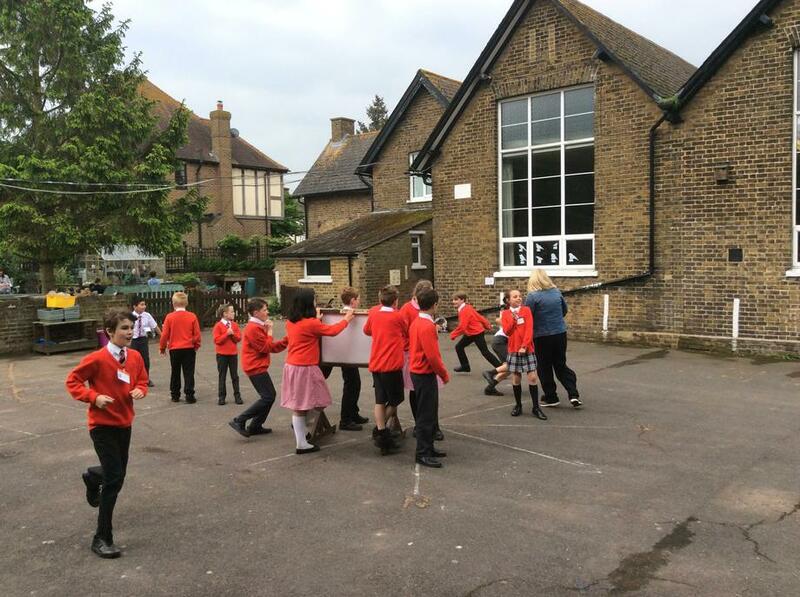 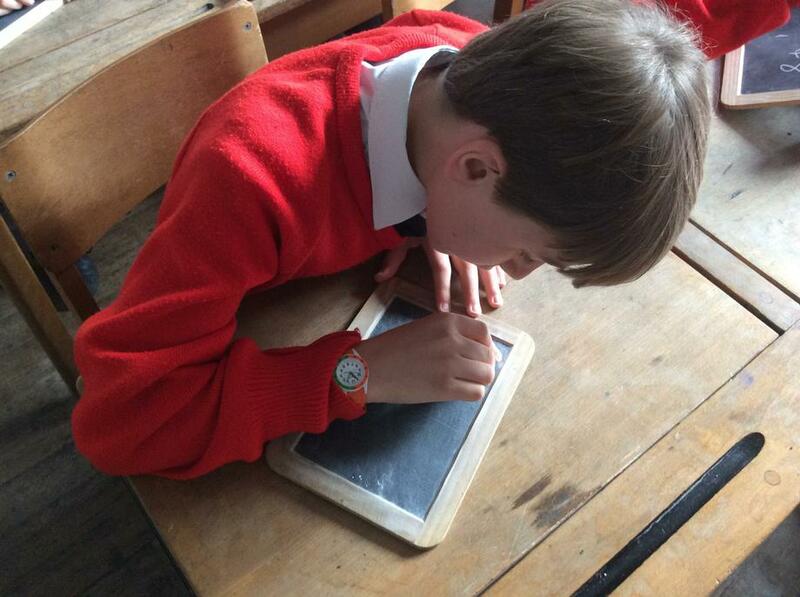 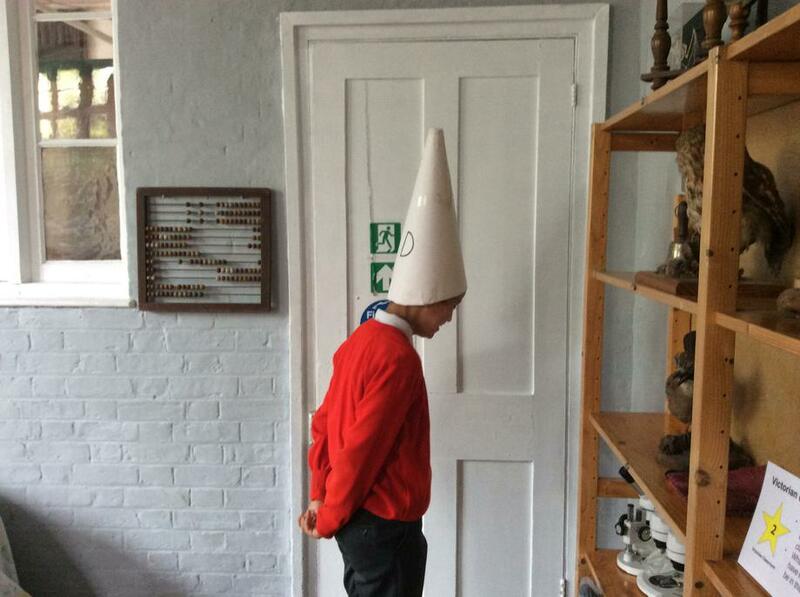 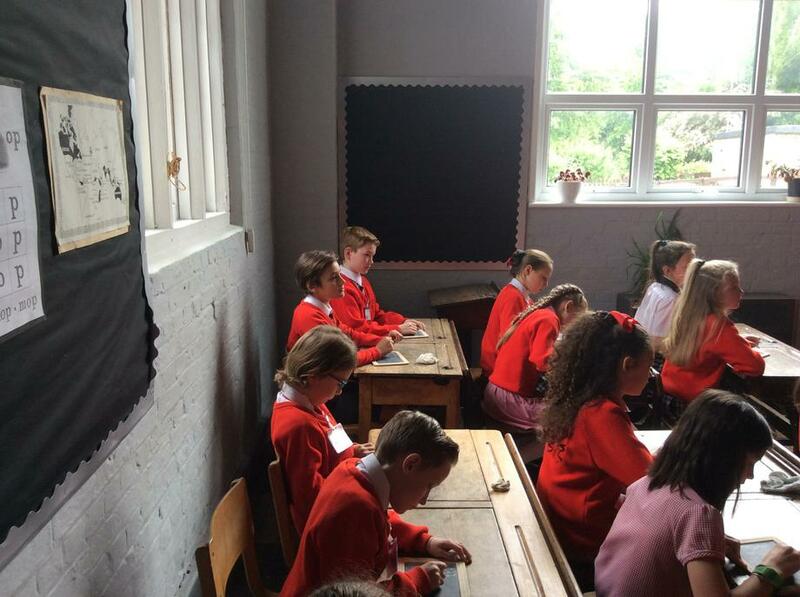 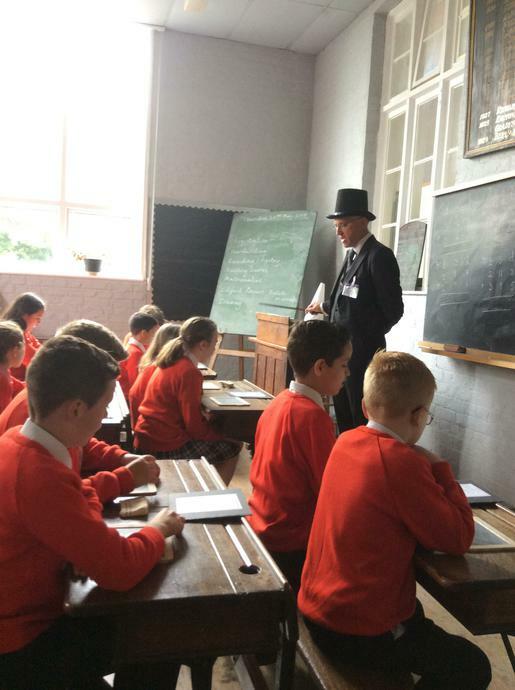 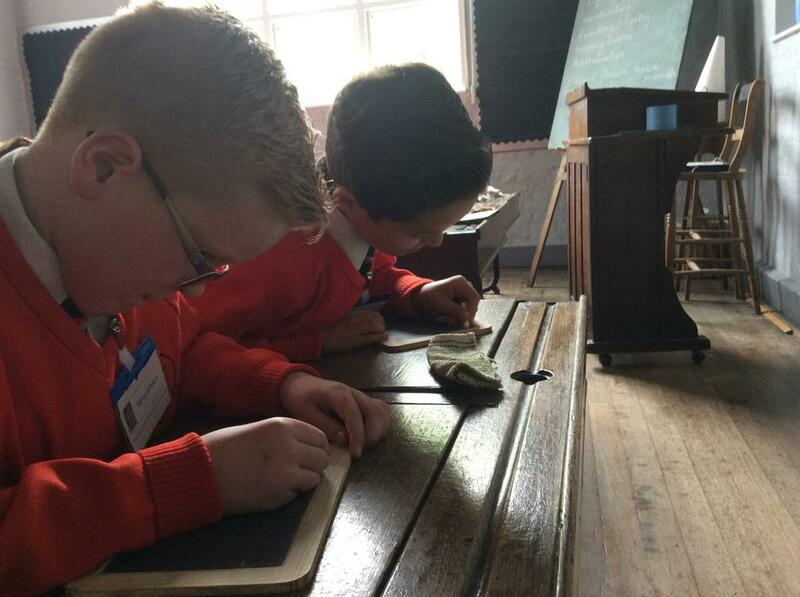 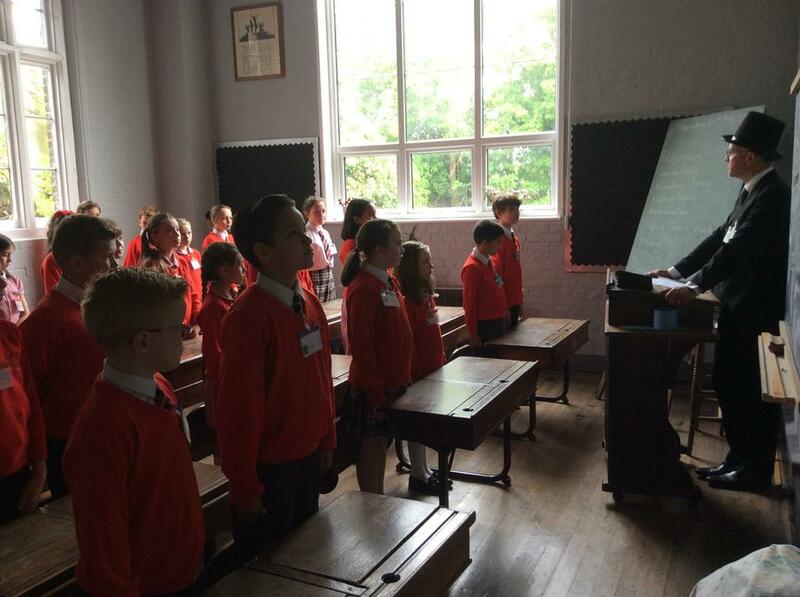 One of our favourite activities was when we took part in a Victorian lesson: no-one was allowed to write with their left hand, and were punished for dong so! 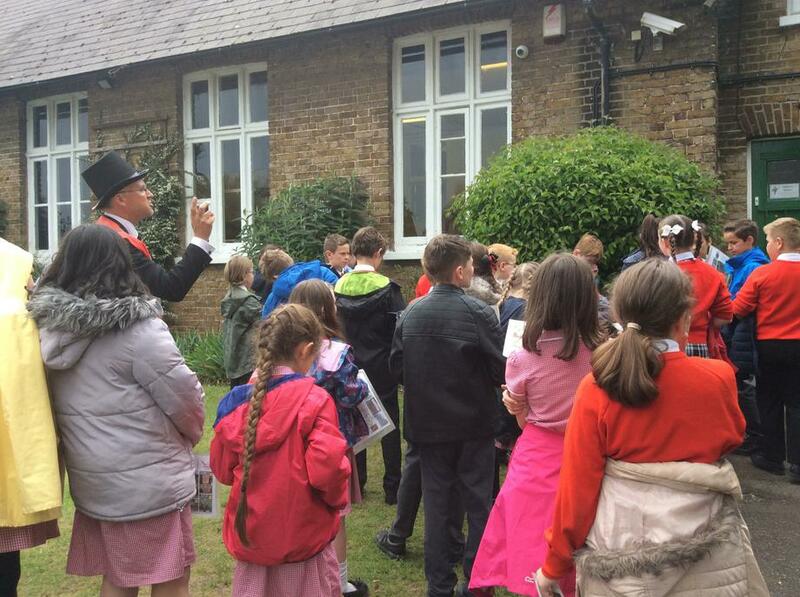 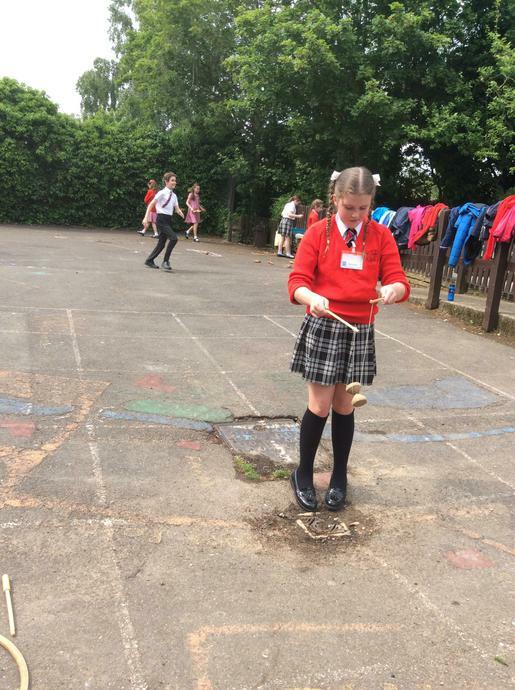 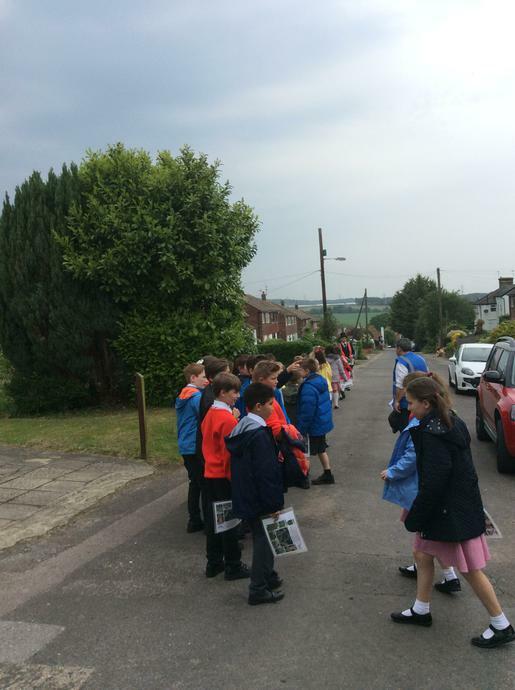 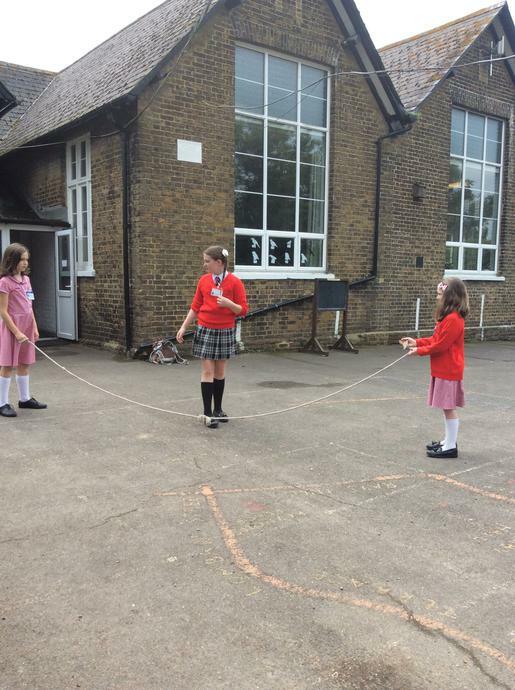 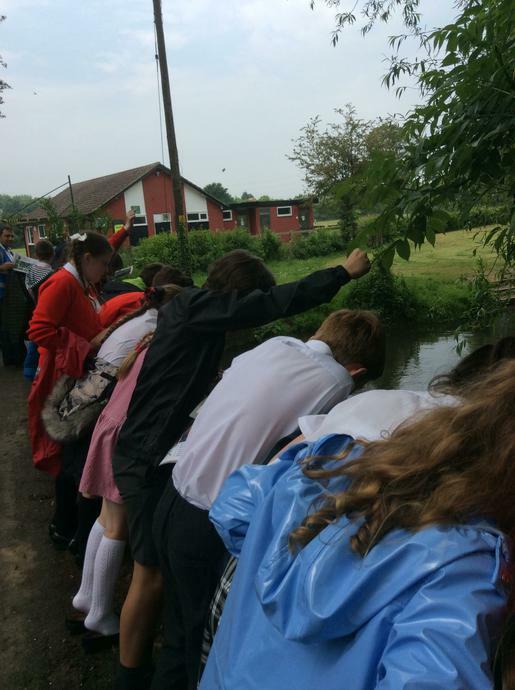 In the afternoon, we had the chance to play with some Victorian toys, and took a walk around the village, spotting evidence that told us about the past, and highlighting the changes in the village since the Victorian era.